Following the recent mosque shooting in New Zealand, many Muslim communities across the globe mourn the death of 50 innocent lives. They weep for their brothers and sisters martyred at the hands of a white supremacist. 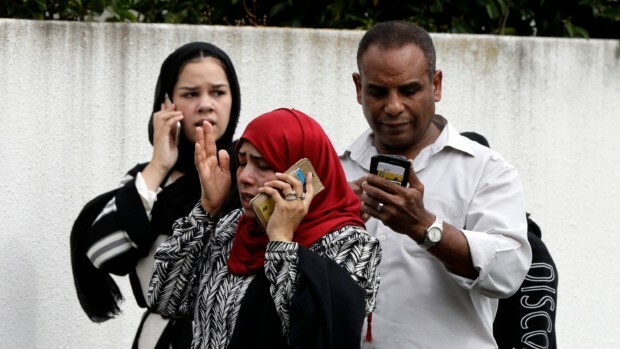 Their tears merge with anger from the fact that the rise of Islamophobia in the world has rendered the occurrence of this attack not nearly as shocking as it should be. Growing up as Muslim in a post 9/11 United States exposed me to the daily mistreatment of Muslims and their communities. Everyday, I am constantly reminded of the misconceptions that surround my faith – an integral component of my identity. The media vilifies the image of Muslims across the world and individuals target me with insults directed towards Islam. From President Trump validating the voices of radical white extremists around the world to Australian Senator Fraser Anning blaming Muslims for the atrocity carried out in the Christchurch mosques, the increasing Islamophobia in the world points to a grim future. The current situation of discrimination and blame lead to feelings of disillusionment and hopelessness. Fortunately, both non-Muslim and Muslim communities across the world have extended support to the victims of the New Zealand terrorist attack. The nation itself quickly responded to the attack with gun reform laws to improve safety. Both the international support and legislative changes provide a sense of hope in spite of the rise of Islamophobia, discrimination, and bigotry. Yet, these efforts to increase an understanding of Muslims and Islam cannot simply be limited to a response to a tragedy. Now, more than ever, Muslims must stand together in solidarity and assert our presence. We must use our voices to speak out, whether that be through public office or through other means. It is time that we are finally able to call home the places that have been unkind to us, even though we have lived there our whole lives. I am afraid for the future of my Muslim community. How can a world, tainted by hate campaigns fueled by Trump and white supremacists, welcome and accept my Muslim sisters and brothers? Will they even recognize the places they have lived their entire lives as their home? As we progress in our fight to protect the rights of Muslims, I urge us to continue until every single injustice directed towards us can no longer be ignored by the media. I urge us to fight until the quintessential image of a terrorist is not a ‘dangerous Muslim.’ Rather, the word ‘terrorist’ encompasses also the countless white extremists who have often had their actions excused due to mental illness or upbringing. I urge us to fight until there is an end to the war on terror and innocent civilians are no longer murdered by drone strikes and bombings carried out by the U.S. I want a world in which the atrocities committed towards the Uyghur and Rohingya Muslims (to only name a few) elicit outrage and pain – regardless of religious background and nationality. I urge us all to continue fighting and expressing our Muslim identity until we achieve greater fairness, justice, and truth in the portrayal and treatment of Muslims around the globe.